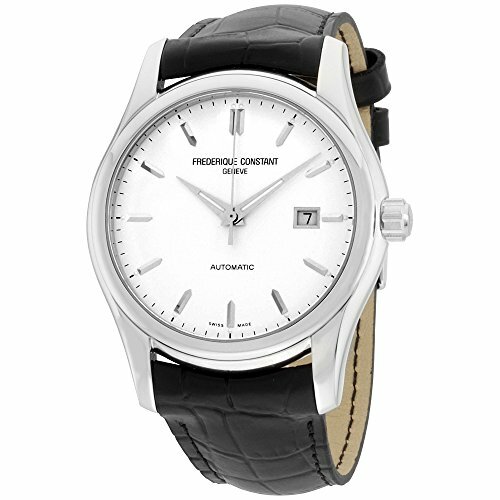 Frederique Constant Classics Silver Dial Black Leather Strap Men's Watch FC303S6B6. 43 mm silver stainless steel dial with a silver dial, a scratch resistant sapphire crystal, and luminous silver tone hands and index hour markers. Minute markers around the rim. Date window adjacent to the 3 o'clock position. Case thickness of 11 mm. 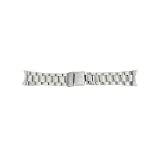 23 mm black leather strap with a silver stainless steel buckle clasp. Automatic movement and water resistant up to 100 meters. Classics series.